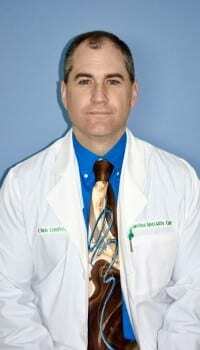 Christopher Comfort is a physician’s assistant with a special focus on orthopedics, sports medicine and rehabilitation. He is a graduate of Bowling Green State University, Ohio and earned his graduate certificate in Physician Assistant Studies from Northeastern University, Boston, Massachusetts. Mr. Comfort is experienced in physical/diagnostic evaluation of patients; assisting in surgery; wound closure and care; patient education; rehabilitation and pre and post-operative care.